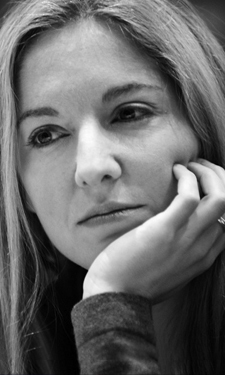 Victoria Coren Mitchell - Blog - Come And Play Only Connect (2015) ! Come And Play Only Connect (2015) ! Are you quite clever, good at lateral thinking, over 18 and UK-based? Then why not consider having a go on Only Connect? If you think “Lord, going on a TV quiz is not for me!” then do read on for a moment before you commit to that decision… You could be just the right person. You now have until February to apply with a team - although it looks like this time you can also apply individually, as a solo quizzer, and be matchmade with a team. (Details further down). It’s not like going on a big glitzy game show. It’s a small, quiet enterprise - our contestants are people who like doing crosswords and reading books on trains, and our production team are warm, welcoming, friendly people. Getting in touch does not commit you to being on the show. You’ll just get an application form and (if your application looks good) the chance to do a little test, locally to where you live. It’s fun: you get a private go at the quiz, with the people who make it, and if you wouldn’t be good on the programme then they’ll simply tell you. So nobody ever looks foolish. If you do make it onto the show, of course you’re never alone on there - you’re always playing as a team of three, so that’s another reason why it’s a fairly safe gamble. So much modern television would have us believe that everyone’s a show-off, desperate to be in the spotlight. But Only Connect is not a vanity exercise; it’s for people who are happy to turn up and talk about history or Shakespeare or music or maths without necessarily getting a fake tan, new teeth and hair extensions first. [That does not include the host]. If you’re a bit squeamish about appearing on TV, that doesn’t mean you’re not perfectly suited to us! I’ll give it another go. The application forms kind of put me off last time (which might be the point…), but OC continues to be the gold standard of quizzing for my money. Either way, can’t wait for the new series. Hi Victoria, has a children’s version ever been considered? My 13 year old son and some of his friends love the show and would love to have a go. They just wish they didn’t have to wait another five years! This year I was on with a team called The Headliners. We had a wonderful time, from application through audition to live competition, then appearing on telly! Highly recommended. Victoria, you and the team were delightful company and the quiz is the hardest on TV (so even losing teams feel pretty brainy). Thanks again! The only downside is that we have done it now, so can’t have another go and do better!